Pediatrician Maggie Kozel's just-published memoir, "The Color of Atmosphere: One Doctor's Journey In and Out of Medicine," is a perfectly measured tale of a career in the trenches of primary care medicine that also says volumes about the declining state of the American health system. Dr. Kozel's personal narrative - that of an initially idealistic doctor who is eventually worn down by the many perverse financial and structural disincentives to doing the "right thing" for her patients - makes this book a compelling enough read. But what elevates it to another level entirely are her unfiltered observations of patient encounters that illustrate much of what has gone wrong with health care in the U.S. This book is not at all a health policy tome, but it nonetheless provides a clearer rationale for the urgent need for reforms than any previous book I've read, period. The Color of Atmosphere starts with Dr. Kozel's emergence from a difficult childhood to medical school, pediatric residency, and several years practicing overseas with the Navy (where, she observes, "what has been demonized by our culture in general, the specter of universal health coverage, had been fully embraced by that bastion of socially progressive thinking, the U.S. military.") There, in the 1980s, she is exposed to the team-based model of care that is only now gaining traction in private practice, where primary care physicians coordinate teams of nurses and nurse practitioners who provide routine anticipatory guidance, health maintenance, and immunizations at group visits, leaving the physician plenty of time and energy to deal with any remaining concerns. After resigning from the Navy, Dr. Kozel works at a community health center and a private practice in Rhode Island, where she stubbornly resists the formulas that many of her colleagues use to stay sane and get ahead in medicine. Want to make more money? See more patients in less time; avoid patients with public insurance; avoid those with complex problems; prescribe excessively rather than get into drawn-out discussions of why drugs such as antibiotics aren't really needed. How to prevent malpractice lawsuits? Avoid treating the patients most likely to have bad outcomes, even if you are the on-call physician and an uninsured child is gasping for breath in the local ER. In other chapters, she explores the mismatch between pediatric residency training and providing primary care for children, and the tilting-at-windmills approaches that physicians and medical societies have increasingly taken to addressing complex social problems such as obesity, physical inactivity, poor parenting, and psychiatric disorders. When Dr. Kozel announces her decision to leave her practice to take a job as a chemistry teacher at her daughters' private school, many of her physician colleagues admit to her that they are just as frustrated by what the practice of medicine has become as she is. Nonetheless, she says, "Medicine had challenged me, thrilled me, frightened me, and humbled me. But it had never disappointed me. It was the system we use to deliver health care, with its inefficiencies, misplaced incentives, and misguided use of resources, that distorted the doctor-patient relationship and exhausted me. ... I would always feel ambivalence about leaving medicine, I knew, but never any about having entered it." Dr. Kozel is a superb writer, and although her departure from the medical profession is surely a loss for her patients, all of us will benefit if this book is read by policy makers, doctors-to-be, and regular people who will advocate for much-needed health reforms. On November 17, 2009, in the same issue of the Annals of Internal Medicine that contained the U.S. Preventive Services Task Force's controversial new recommendations on screening for breast cancer, the journal also published a report on the comparative effectiveness of medications to reduce the risk for primary breast cancer, previously known as "breast cancer chemoprevention." An earlier version of this report had been presented to the USPSTF at its March 2009 meeting, when the Task Force voted to update its 2002 recommendations on breast cancer chemoprevention. The updated statement was finalized later in the spring, and in keeping with the USPSTF's existing review process, was circulated to selected public and private medical organizations for comments. By mid-October 2009, these comments had all been received and incorporated into a final draft of the statement, which I edited as part of my role as a medical officer at the Agency for Healthcare Research and Quality. I was not present at the high-level meeting in which the Administration determined that the political risk of releasing even a draft recommendation statement about breast cancer chemoprevention outweighed the merits of allowing clinicians and patients to make medical decisions informed by the latest evidence. But I wouldn't be surprised if some staffer with little or no medical background, taking a look at the long backlog of USPSTF statements, zoomed in on the words "breast cancer" and made a spur-of-the-moment decision that may have lasting negative implications for women's health. 1) The New England Journal of Medicine published a thoughtful commentary by Representative (and psychiatrist) Jim McDermott from Washington State about the sustainability of the primary care workforce in light of the continuing specter of Medicare payment cuts, rising medical student debt, and low salaries with respect to other physician specialties. 2) Noteworthy, the Family Practice Management blog, summarized the Council on Graduate Medical Education's 20th report to Congress and the Secretary of Health and Human Services, which made five specific policy recommendations to strengthen primary care beyond the modest initiatives contained in the Affordable Care Act. 3) A research article published in Pediatrics highlighted the "profound" geographic maldistribution of clinicians who provide primary care to children in the U.S., where in 2006 the supply of general pediatricians and family physicians relative to the under-18 population was more than six times as high in some areas of the country compared to others. 4) Finally, a New England Journal article published online today examined the enormous magnitude of the challenge facing states whose primary care physician supply is already inadequate to meet the needs of currently insured populations, not to mention the expanded Medicaid-eligible population mandated for coverage by 2014. The authors calculated an "access-challenge index" for each state by dividing the projected Medicaid expansion by the state's primary care capacity. The top 5 most "challenged" states were Oklahoma, Georgia, Texas, Louisiana, and Arkansas. The least challenged were those that already offer their residents universal or near-universal insurance coverage: Massachusetts, Vermont, and the District of Columbia. It's a positive sign that serious conversations about the pressing primary care shortage, and potential solutions, are continuing even as the House of Representatives seeks to derail the implementation of health reform legislation. According to the U.S. Preventive Services Task Force's new recommendation statement on screening for osteoporosis, published earlier this week, "By 2012, approximately 12 million Americans older than 50 years are expected to have osteoporosis. One half of all postmenopausal women will have an osteoporosis-related fracture during their lifetime; 25% of these women will develop a vertebral deformity, and 15% will experience a hip fracture." In other words, the national health burden of this disease is enormous. The science of the new statement is solid. In 2002, the USPSTF recommended screening for osteoporosis in all women age 65 and older, and in women age 60-64 with "risk factors," but declined to specify which precise risk factors to use, and said nothing about screening in younger women or men. The new guideline advises using the FRAX risk assessment tool to determine if a younger woman has a fracture risk level that would make her likely to benefit from screening, and cautions that there isn't yet enough evidence to recommend screening in men. So far, so good. So what's the problem, and where in the process did politics get involved? After the mammography debacle, though, the output of the USPSTF ground to a halt. After releasing an average of one new or updated recommendation each month for the previous 3 years, the Task Force published no new recommendations for nearly a year. All in-progress statements, including several (such as screening for osteoporosis) that were in press as of December 2009, were ordered to be withdrawn by a White House and DHHS leadership that would tolerate no further potential threats to the passage of health reform legislation. And even after the Affordable Care Act became law in March 2010, no remotely controversial statements were permitted to be introduced into the USPSTF's new public comment process until after the November 2010 midterm elections. Statements that were shelved for a year or more (and remain unreleased, even in draft form) include clinically significant, but politically sensitive topics such as breast cancer chemoprevention (voted in March 2009), screening for oral cancer (voted in March 2009), and vitamin D supplementation (voted in November 2009). If you've read this blog before, you know that I support health reform, even though I don't agree with many specific components of the legislation. And I understand the argument that not presenting health reform opponents with a convenient target might be a reasonable short-term, or even long-term, political strategy. But to a family physician, "health reform" is more than a nice idea, a weighty piece of legislation, or a partisan political achievement. It's about doing what's best for our patients. And if we achieve "health reform" that grants insurance cards to 32 million more people, but doesn't provide them with reliable access to primary care; selectively muzzles experts whom primary care physicians trust to tell them what works and what doesn't in clinical prevention; and willfully allows outdated recommendations to guide coverage of primary care screening to prevent many of 1.5 million life-altering osteoporotic fractures that occur in the U.S. each year, then, well, we have achieved very little at all. Last November, when I publicly announced my resignation from the support staff of the U.S. Preventive Services Task Force after 4 years as a medical officer at the Agency for Healthcare Research and Quality, media reports suggested that I had done so in protest of the government's decision to cancel the USPSTF's regularly scheduled scientific meeting on the day of the midterm elections, thus delaying a critical vote on new prostate cancer recommendations. That interpretation was essentially correct, but unfortunately, it was only part of a much larger and more painful story. Since November 2009, when the USPSTF released its updated recommendations on screening for breast cancer at the peak of this country's impassioned health reform debate, there was rarely a day on my job when politics did not "trump" science in some way. An administration that prides itself on transparency decided to protect its reform legislation by repeatedly interfering with the work of a highly respected group of scientists whose carefully considered decisions about the value of clinical preventive services are, in my opinion, one of the things that make health reform worth the cost. It did so by misleading not only the public and the press about its motives, but eventually major primary care organizations who depend on Task Force recommendations and the Task Force itself. This post is the first in a series that will tell this story from my perspective, drawing on my experiences working behind the scenes of federal government with the USPSTF. Later this week, my next post will discuss the USPSTF's updated recommendation statement on screening for osteoporosis, which was published online earlier today in the Annals of Internal Medicine. A few caveats are in order. First, although I am now a private citizen, out of respect for the scientific process, I will not discuss the content of any recommendation statements until they are made available to the general public. Nor will I attempt to describe or interpret political decisions that were made outside of my presence, unless I have good reason to believe that the content of those decisions was accurately communicated to me by another person who was there at the time. Finally, it is important that you understand that my motivation for sharing these "behind the scenes" stories is not to malign former colleagues or current or former members of the Task Force (who were, and are continuing to do, the very best they can in a difficult environment), but rather to shed light on factors that were generally outside of their control, and, mostly, should have had nothing to do with the scientific process in the first place. NOTE: A revised and updated version of this post, including my take on the July 29, 2013 U.S. Preventive Services Task Force draft recommendations for lung cancer screening, is available here. Lung cancer is the leading cause of cancer death in the U.S. and claimed more than 150,000 lives last year. Since most lung cancers are triggered by tobacco use, the best way for family doctors like me to prevent lung cancer in 2011 is to counsel patients not to smoke, or if they already smoke, to quit. Unfortunately, tobacco-damaged lungs often don't heal completely, and ex-smokers continue to be at higher risk for lung and other cancers than never-smokers are. That's why doctors used to routinely advise that heavy smokers get chest X-rays in hopes of catching cancers at more treatable stages. However, several studies have since found no difference in lung cancer death rates among smokers who got annual chest X-rays versus those who did not. That's likely because the disease is too far advanced to cure by the time it's visible on a chest X-ray. Computed tomography (CT scans) of the chest, on the other hand, are much more powerful and can detect even smaller lung cancers than X-rays can. Does that mean those cancers will be more curable? To answer this question, several years ago researchers at the National Cancer Institute randomly assigned current and former heavy smokers between the ages of 55 and 74 to annual screening with CT scans or chest X-rays. Last November, they stopped the study early due to evidence showing that patients assigned to receive CT scans had a 20 percent lower risk of dying from lung cancer than those who got chest X-rays. Still, many cancer experts cautioned that these were preliminary results, and that until all of the data from the study are analyzed and published in a peer-reviewed medical journal, patients should not rush to their doctors to request CT scans. 2. False alarms are extremely common. In the NCI's lung cancer screening study, researchers found that 1 in 3 patients had at least one false-positive result after undergoing two CT scans. Of those patients, 1 in 14 needed an invasive lung biopsy to be sure they were cancer-free. 3. Even if screening catches lung cancer early, there's no guarantee your prognosis will be better. This is due to "overdiagnosis," or the unnecessary diagnosis of a condition (typically cancer) that will never cause symptoms in a patient's lifetime, either because it's so slow-growing or the patient dies from some other cause. An estimated 1 in 3 breast cancers detected by mammograms is overdiagnosed, and a 2007 study published in the journal Radiology suggested that the proportion of lung cancers overdiagnosed by CT scans could be as high or higher, especially in women. But because there's no way of knowing at the time of diagnosis if a lung cancer will be fatal, inevitably many patients will be needlessly subjected to the side effects of treatment. 4. Finally, it's highly likely that a CT scan for lung cancer will find some other abnormality that will require further investigation. You might think this is a good thing, but studies show that most of these abnormalities turn out to be false alarms, too. In fact, in 2008 the federally-supported U.S. Preventive Services Task Force decided against endorsing CT screening for colorectal cancer due to concerns that investigating all the abnormalities that CT scans turn up could outweigh the cancer-prevention benefits. You may still decide it's worth it for you or a loved one to get a CT scan for the relatively small (about 1 in 300) chance it will prevent death from lung cancer. But before you do, be sure you have all the facts. 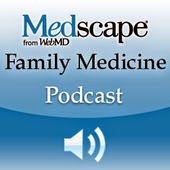 Guest Blog: Does Medicare get prevention right in 2011? Dr. Ed Pullen is a family physician who practices at Sound Family Medicine in Puyallup, WA. The following piece is excerpted from a previously published post on his blog, DrPullen.com. Starting in 2011, Medicare will eliminate co-payments and deductibles for certain preventive services for older Americans. This is great news for primary care physicians. I’m a family physician, and have struggled for years with the fact that just about every private insurance plan covers an annual physical exam, but Medicare did not. What this accomplished was bringing in my relatively healthy 30-something patients for a physical exam each year, while my 70 year-olds (for whom far more preventive services were recommended) were not covered for a preventive exam ever. So as primary care physicians we tried to our best to squeeze preventive care into visits for other complaints. At every-3-month visits of my diabetes patients, I’d try to save enough time to review immunization status, assure breast and/or colon cancer screening was up to date, help men decide if they wanted prostate cancer screening. Now I’m looking forward to being able to ask my seniors to schedule a preventive care visit and being able to focus on these issues without having to eke out time in a problem oriented visit. Still, I have to say that if the goal is to provide incentives to older Americans to go to their physicians for services that will really make a difference in their health problems, I think Congress got it wrong. If we want to reduce the burden of expensive medical complications, I believe the most efficacious preventive services we can offer in health care are secondary prevention and disease management. I’d love to think that by primary prevention, education, and physical exams, I can help patients improve their health and subsequently reduce costs and improve outcomes. The problem is that there is little evidence that this is the case. Offering a free annual Medicare preventive care visit may find some treatable cancers, improve immunization rates, and make us feel like we are being proactive. But finding a way to give incentives to our poorly controlled diabetics to control their blood sugars, blood pressure, and LDL cholesterol would save a lot more lives and prevent a lot more hospitalizations. And getting our post-MI patients in for LDL management, BP control, and smoking cessation help would have a much bigger impact. Maybe Medicare should offer reduced copay or deductible on quarterly visits for everyone with a diagnosis of diabetes. Maybe add a no-copay benefit for diabetics who take an ACE or an ARB, have a hemoglobin A1C under 8% and have an LDL under 130. How about no copay or deductible for diabetic eye exams, free generic BP medications from a list of recommended options, and free generic statins for patients who meet risk profile cutoffs? I’m not a population modeling actuary with sophisticated algorithms to determine just which of these type of interventions would be most effective. I can’t help but believe, though, that objective modeling could provide a data-based framework on which to set up a plan to improve health at the lowest possible cost. Eric Cheng is a primary care physician for the VA, an assistant clinical professor of medicine at UCLA, a devoted husband and father, and an occasional poet. He currently lives in Los Angeles, where he draws inspiration from his patients' incredible stories, the curiosity of medical students, the even greater curiosity of his two boys, and the dynamic faith community at the Garden Christian Fellowship. The following poem is from his recently published poetry collection, A Snail's Pace. mine is confident and assertive. Will small primary care practices survive health reform? A friend and family physician colleague of mine owns a private practice with three other primary care physicians and a physician assistant. Not long ago, she mentioned that she and her partners have been struggling to maintain their incomes in the face of rising equipment, personnel, and administrative costs, combined with declining payments from health insurance plans. Basically, she said, everyone's salaries have been going up except the physicians' - she takes home about the same amount she made after graduating from residency more than a decade ago. In order to boost the practice's income, she and her partners explored an agreement with one insurance plan to receive a bonus for providing care coordination services (which they do anyway, for free), only to be told that their practice was too small to qualify. My friend's story, I think, is not atypical of the challenges facing small family practices today. Although last year's health reform law contains some programs designed to support primary care, including more funding for training programs and significant (albeit temporary) increases in Medicare and Medicaid payments to improve access, there is widespread concern in family medicine that the law did little to support the small practices (those with 5 or fewer clinicians) that see the majority of patients in the U.S.
An editorial authored by White House officials in the Annals of Internal Medicine suggested that small practices would eventually be absorbed by "vertically integrated organizations" and prompted the president of the American Academy of Family Physicians to send a letter to the White House defending the ability of small or solo practices to provide high-quality primary care in the new health environment. More recently, the health reform pilot program that shares Medicare savings with physicians who meet certain quality-of-care goals in accountable care organizations (ACOs) has come under fire from physicians who fear that small practices won't have sufficient resources to form ACOs and will therefore be left at a competitive disadvantage against large hospital-owned practices or health corporations. So is the future of primary care in the post-health reform era destined to be one in which small private practices become extinct, and family doctors who don't practice at community health centers or enter concierge medicine are all salaried employees for hospital systems or health maintenance organizations? And if so, will it be possible to persuade medical students to make this their career of choice? Even though it happened several years ago, I still experience a visceral feeling of guilt and embarrassment when I recall the time I almost prescribed the wrong type of antibiotics for a patient's inner ear infection. As medical errors go, this would not have been that big a deal. Although the medication would have been completely useless for treating her infection, she wasn't likely to suffer serious side effects, or have her condition worsen from a delay in receiving appropriate treatment, since many inner ear infections resolve on their own. What bothered me about this particular mistake was that I knew perfectly well that oral antibiotics—not eardrops—were the best choice and knew which one to prescribe, but had accidentally clicked on the wrong choice in my electronic medical record system, leading to the wrong prescription being printed. Fortunately, I was able to recognize this mistake before the patient left the office, hurriedly hand-write the correct prescription, and after apologizing, explain the reason for the switch. My close call belies the widespread belief that the implementation of electronic medical record systems—which researchers recently reported are now used in slightly more than half of office-based practices—will naturally eliminate medical errors and make healthcare safer. Rather, these electronic systems only change the nature of the medical errors that are made. While they offer safeguards against accidental prescriptions of drugs patients are on record as being allergic to, and drugs that may not mix safely with others patients are taking, electronic health records are still vulnerable to incorrect entries, computer glitches, and unauthorized access of personal health information. 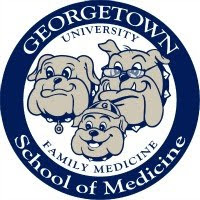 A group of studies by researchers at the Robert Graham Center for Policy Studies in Family Medicine and Primary Care identified five common sources of errors in family practices: medication prescribing, laboratory testing, misfiling of medical records, medication dispensing, and not responding promptly (or at all) to abnormal test results. The last type of error occurs distressingly often. In a retrospective audit of patient medical charts in 23 U.S. practices published last year in the journal Archives of Internal Medicine, Lawrence Casalino at Weil Cornell Medical College in New York and colleagues found that on average, one abnormal test result in 14 was never communicated to patients. Surprisingly, practices that used a "partial" electronic medical record (electronic progress notes but paper-based test reports, or vice versa) were nearly twice as likely to fail to notify patients as practices with no electronic records at all. Indeed, electronic medical records are not failsafe. The Institute of Medicine recently formed a Committee on Patient Safety and Health Information Technology to better understand the potential risks they pose to patient safety. This committee, which met for the first time last week, plans to review the available evidence over the next year and make recommendations about the best ways for doctors and patients to prevent medical errors associated with electronic record use. In the meantime, you are not powerless to become the victim of a medical mistake. There are strategies you can use to help your doctor keep you safe. The federal Agency for Healthcare Research and Quality has published a useful fact sheet entitled "20 Tips to Help Prevent Medical Errors." 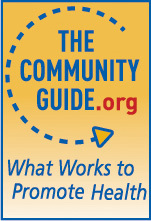 Many of these tips involve making sure you are well informed about any medicine your doctor prescribes, including knowing exactly why you need it, how frequently and for how long you should take it, what the likely side effects are, and what symptoms signal you should stop taking the medicine and contact your doctor for help. One more tip on that list I would definitely emphasize is: "If you have a test, don't assume that no news is good news—ask about the results." Actively working to improve communication with your doctor about your healthcare is the most effective way to avoid being harmed by a medical error. That's the bottom line.